I believe we should capitalize on the success governments around the world achieved in 1987. We should do something for the 25th anniversary and go further with a global agreement on greenhouse gases emissions. September 16 marks the International Day for the Preservation of the Ozone Layer, commemorated as the anniversary of that day in 1987 when the Montreal Protocol was signed, an international treaty created to limit and eventually ban CFCs and other substances that were discovered to have been depleting our ozone. And this year certainly brings cause for celebration. 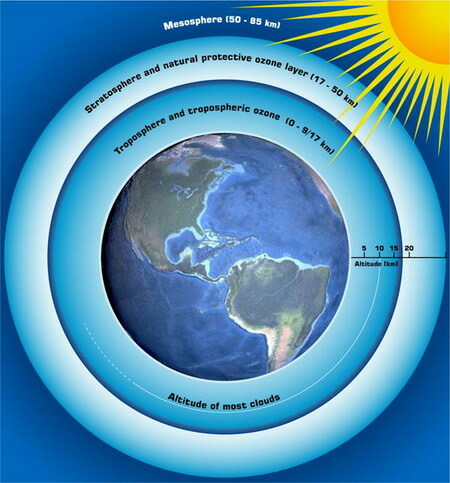 In the “Scientific Assessment of Ozone Depletion 2010” report, UN scientists announced that the ozone layer in the upper atmosphere has ceased diminishing, attesting to the success of the Montreal Protocol. The scientists say the area of the ozone that has thinned out should largely be restored by mid century, AFP reports.